蒲伦, 唐诗华, 张紫萍, 等. 基于蚁群算法的多面函数在GPS高程拟合中的应用[J]. 大地测量与地球动力学, 2019, 39(1): 31-35. PU Lun, TANG Shihua, ZHANG Ziping, et al. 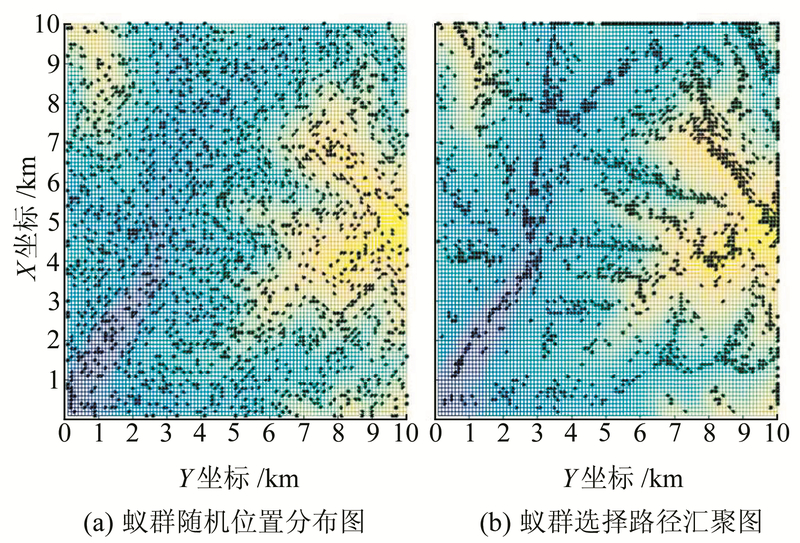 Application of Multi-Quadric Function Based on Ant Colony Algorithm in GPS Elevation Fitting[J]. Journal of Geodesy and Geodynamics, 2019, 39(1): 31-35. Open Fund of Guangxi Key Laboratory of Spatial Information and Geomatics, No.15-140-07-05, 16-380-25-13, 16-380-25-25; Natural Science Foundation of Guangxi Province, No.2018JJA150047. TANG Shihua, PhD, professor, majors in the automatic collection and processing of geomatics data and application development of measuring robot, E-mail:58650875@qq.com. PU Lun, postgraduate, majors in GNSS data processing and application, E-mail:pulun16@163.com. Foundation support: Open Fund of Guangxi Key Laboratory of Spatial Information and Geomatics, No.15-140-07-05, 16-380-25-13, 16-380-25-25; Natural Science Foundation of Guangxi Province, No.2018JJA150047. About the first author: PU Lun, postgraduate, majors in GNSS data processing and application, E-mail:pulun16@163.com. 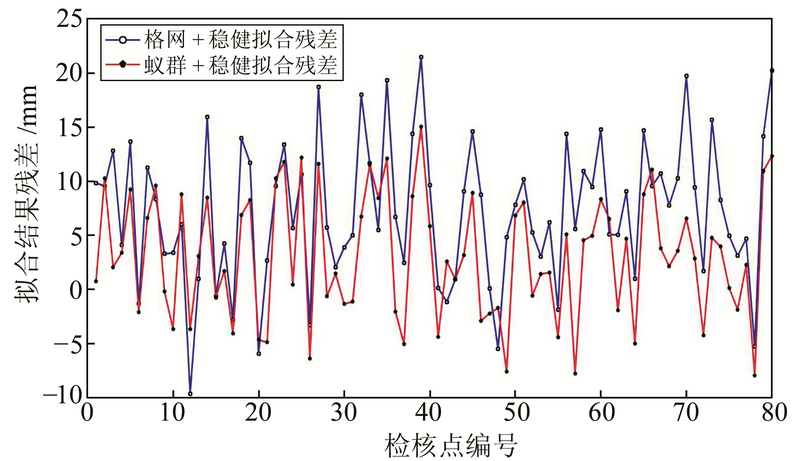 Corresponding author: TANG Shihua, PhD, professor, majors in the automatic collection and processing of geomatics data and application development of measuring robot, E-mail:58650875@qq.com. Abstract: Aiming at the problem that the central node of the multi-quadric function fitting method is difficult to select, we introduce the method of the ant colony algorithm into the multi-quadric function and construct the high-precision fitting model with robust estimation.The ant colony algorithm is used to find feature points in complex terrain, and combines several non-feature points together as a central node in the construction model. Robustness is added to the multi-faceted function, and the effect of gross error on the fitting model is eliminated using the iterative method.GPS elevation fitting data processing example shows that the fitting method of multi-quadric function and robust estimation based on ant colony algorithm effectively eliminates the influence of gross error, fitting precision is improved by 26%.